It’s that time of year again. (Those of you who are teachers might want to look away now.) 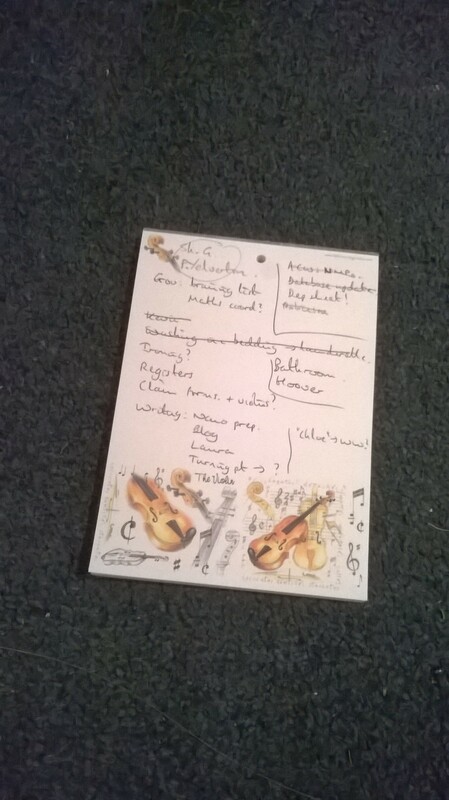 I work as a peripatetic violin teacher, and I have 110 reports to write between now and the beginning of July. I think I might die of boredom in the process: there are only so many ways you can say Chantelle has a good bow-hold (and believe me, I’ve used them all). I’m trying to be pragmatic. I’ve learned a few short-cuts over the years. I’m obviously a slow learner as it took me a while to realise that if I signed my name at the bottom electronically before making multiple copies I wouldn’t have to write my name out over 100 times each year. And while there are some parts of the report that have to be individually written, there are other sections (such as course content) which are repeated over dozens of forms. At this time of year, I’m the copy-and-paste queen. Still, I always feel in late May / early June that I have an unassailable mountain to climb. It’s only by breaking the task down into sections that I can see a way through it. At the first school on my list, I have 10 pupils, which is just under 10 percent of my total. Another two schools could take me up to around 40. Mount Everest has shrunk to the size of Ben Nevis. It’s still challenging, but at least now I’m beginning to believe I can do it. And so it continues: word by word, phrase by phrase, form by form, until I reach that magic moment where the last report has been sent and I can sit down with a well-earned glass of wine. There’s a Chinese proverb which states that A journey of 1000 miles begins with a single step. (Sometimes attributed to Lao Tzu.) That’s certainly true of my reports, but it’s useful advice for my writing, too. Crafting a novel or an article (or a blog-post!) can seem like an insurmountable task; but when I focus on writing one word at a time, I realise I can get there in the end. No, me neither. I’m straining with both ears and (for a change) my full attention, but there’s only silence. Or maybe not: my world is full of noise. I spend my working days teaching violin, encouraging children not only to make music, but to do it in a pleasing and harmonious manner. At home, the relentless clamour continues. Much of it is good: conversations with family and friends, worshipping with my local Christian community. And there’s nothing intrinsically wrong with settling down to an evening in front of the TV, even if a large proportion of it is given over to flicking through the channels in the hope of finding something worth watching. Isn’t there a danger, though, that we fill our lives to the brim with noise and fail to appreciate the beauty of silence? That we’re so busy doing that we forget how to be? Our minds are so constantly bombarded with information that we risk losing our ability to switch off and be still. John Cage famously wrote a composition which required the soloist to sit at the piano for four minutes, 33 seconds and play…nothing. There are various theories about what he was trying to achieve, but it’s certainly true that sitting still in supposed silence for several minutes can serve to draw our attention to things that are going on in the background. The Bible has plenty of instructions on the subject of making a joyful noise when we praise God, and it’s right that we take these injunctions seriously. However, we also discover reminders to be still, and to find rest in God. The most well-known psalm of all talks of being led beside still waters and lying down in green pastures. I find myself increasingly challenged by this concept of being still in God’s presence; maybe because I’m the sort of person whose brain whizzes along at 100 mph even when I’m sitting down for my quiet time. My heart may be determined to listen to God, but before I know it, I’m worrying about what on earth we’re going to have for tea. One of the biggest challenges in teaching music to young children is in getting them to understand the significance of rests, and to allow spaces between the notes. Often, we have to start by saying the word rest aloud at the appropriate moment – which in one sense defeats the point of the exercise, but at least it helps them differentiate between symbols which are played and those which have other meanings. I tell my pupils that the rests they gloss over in the music are an important part of the whole thing. They provide the opportunity to listen to another instrument and add shape and meaning to the rhythm. In the same way, learning to be still before God helps us to listen to him, and gives meaning and structure to our lives. What about you: how easy do you find it to appreciate silence? What have you learned that helps you to rest in God’s presence? Dear Lord, I’d like a few words. About this Ecclesiastes bloke…and his ̒time for everything̓ speech. Of course, it makes sense on one level: I get the idea of our lives running in seasons – well, mostly plodding, these days – and I understand the need for balance. It’s just that my life…isn’t. So could we just go through a few things? This first one’s okay: a time to be born and a time to die. I’ve no quibble with that…apart from the rather obvious one about the being born feeling much more exciting than the dying bit. Yes, I know that’s when I get to be with you forever, but eternity is such a big word that I can’t always get my head round it. What about this? A time to plant and a time to uproot? Lord, you’ve seen my attempts at gardening: more like a time to plant and a time to feed an extended family of slugs. And anyway, Morrison’s is so convenient. Then there’s verse four: a time to weep and a time to laugh. Surely I’ve done enough weeping now? When does the laughing bit start, that’s what I want to know? Mourning seems inevitable as I get older…and I’ve tended to avoid dancing since my teenagers started giving me despairing looks. So could I make some suggestions, Lord? A twenty-first century, middle-aged mum kind of list? There’s a time to enjoy being size 10, and a time to understand that stretch-marks are a badge of honour. There’s a time to nurture your children and a time to let them go. A time to be their personal chauffeur and a time – gulp! – to hand over the car keys. A time to hold their hand as they balance on a wall, and a time to wave goodbye and pretend to smile as they move into student digs. A time to be young and full of energy and a time to realise that sitting down with a freshly-brewed cup of tea is one of life’s great pleasures. There’s a time to have big ambitions and a time to recognise that not all of them will be fulfilled (and that that’s okay). There’s a time to make plans and a time to acknowledge that your plans are always better, anyway – so maybe my plans weren’t that important to begin with. A time for confusion and upheaval and a time to learn to see things from your perspective. A time to struggle along, trying to do things in my own strength … and a time to understand that if I have you, then I have everything I need. Each year, I promise myself it’ll be different. 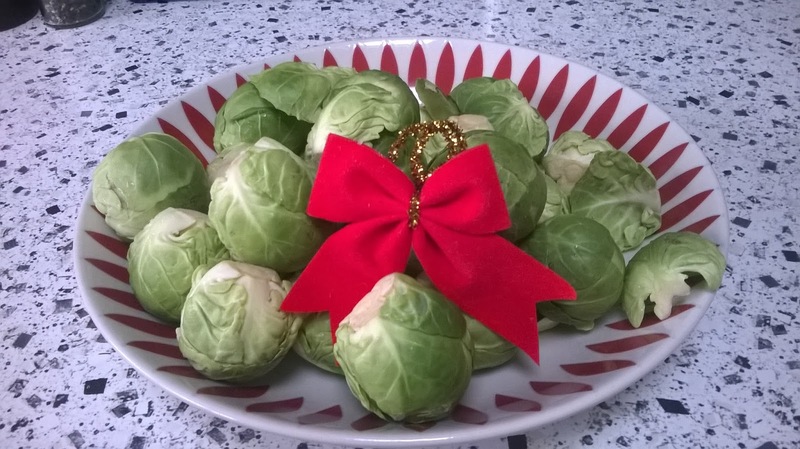 The Christmas in my head is organised weeks in advance: cards posted, presents wrapped, and sprouts prepared in good time. 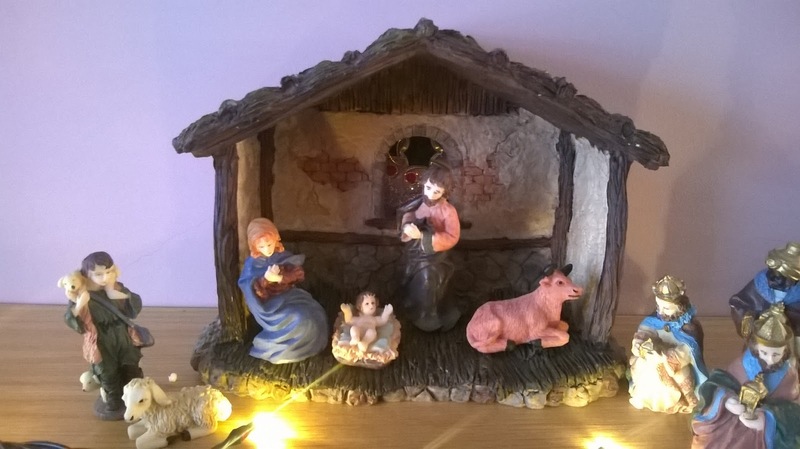 I have an annual ambition that in the few days before The Big Day I’ll be free to relax and maybe enjoy a coffee with friends, as well as having plenty of time (and energy) to meditate on the wonder of the incarnation. And for the first three weeks of December I convince myself that I’m on top of things and that once I get to the end of term I’ll be able to chill, in a house that’ll somehow be calmer than a turkey farm on Boxing Day. So why is it that every Christmas Eve I feel overwhelmed by the amount of stuff still left to do? I have managed to write all the cards (although I still have three sitting by the front door waiting to be hand-delivered), and I’ve wrapped most of the presents. We did the big supermarket shop on the 23rd, an experience about as far removed from the concept of “peace and goodwill” as Tim Peake is from his home and family this Christmas. But for every job I tick off my list, another three appear, and I worry that my Christmas Day celebrations will be more focused on whether I can stay awake past the Queen’s speech than on the miracle of God coming to earth as a tiny baby. The media does a fantastic job in selling us the myth of the “perfect” Christmas. Buy this perfume, wear that dress, prepare 27 different types of stuffing and you’ll have the best Christmas ever. Put on a silly hat, ply the in-laws with sherry, and everything will be sweetness and light in your home. Except that life isn’t perfect: it’s messy and complicated. Relationships can be difficult and memories can be bittersweet, especially at this time of year. Those gifts we so lovingly wrapped get broken, or are left unused. And often we’re so tired that we fail to appreciate the opportunity to spend more time with those we love. I wonder, though, whether we’re missing the point here. Two thousand years ago, the Son of God was born into a world that was messy and complicated, too. The people who sought Jesus out – and followed him – never came because they had nothing else to do, or because their lives were all hunky-dory. Jesus attracted people whose lives were broken and damaged. The poor and needy flocked to him. And he calls us today – however busy and stressed we may feel – to look to him. If we want to receive afresh the gift of Christ this Christmas, we need to surrender our attempts at enforced peace and harmony, and instead invite Jesus to meet us in the midst of our mess. One of the things I loved about being a student in York (several millennia ago) was wandering around the city on a Saturday afternoon and watching all the street entertainers. Talented musicians, magicians, fire-eaters and unicyclists: I’ve come across them all, often surrounded by an awestruck audience. Among my favourite acts was a man who set fire to half a dozen skittles before launching them into the air and then juggling them in a constant loop for several minutes without either dropping one or burning himself in the process. I think I’ll try one at a time! As someone who struggles to juggle even one ball, I was impressed. I have tried in the past to master this skill, but there’s something about having to concentrate on more than two moving objects at a time that completely flummoxes me. 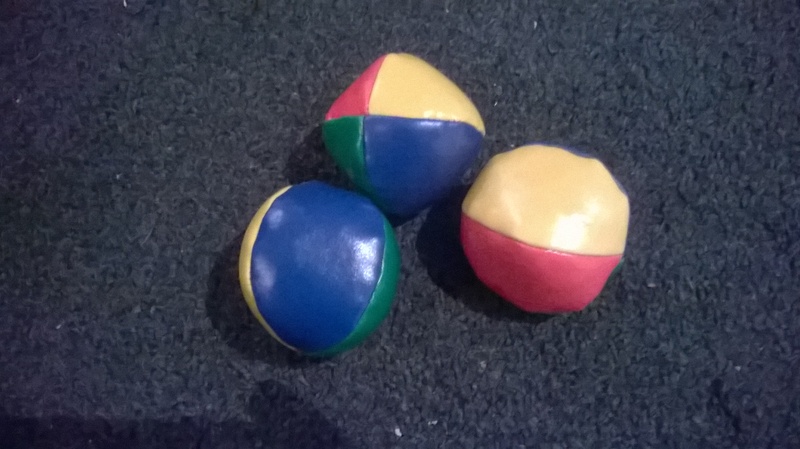 Even trying with two balls feels laborious and clumsy. I understand that ‘practice makes perfect’, but – in my case – probably only if I live to be 150. My day-to-day life frequently resembles a juggling act, too. Differing tasks compete for my attention, leaving me confused and exhausted. It appears that some days, I’m not much better at managing my responsibilities than I am at catching flaming skittles. I wonder whether that’s what Jesus was thinking about when he gently chastised Martha for being distracted by her preparations. (Luke 10: 38 – 42.) I don’t think (sadly!) that he was saying we never need do the housework again…or go out to work / look after the children / volunteer for the tea and coffee rota, and so on. But re-reading this passage reminds me I need to make Jesus my primary focus. Sometimes that will mean dropping everything to sit at his feet: on other occasions I need to learn to keep my eyes on him in the midst of my busyness. And what about you? Do you ever feel you’re juggling too many things and waiting for them to come crashing down on top of you? How do you manage to keep Jesus at the centre of things? I’d love to hear from you! We’ve recently returned from a week’s holiday in Somerset. It’s somewhere we’d never been before, so we had fun exploring new (to us) places: Wells, Bath and Burnham-on-Sea. Top on my list of things to do was a visit to Cheddar Gorge. 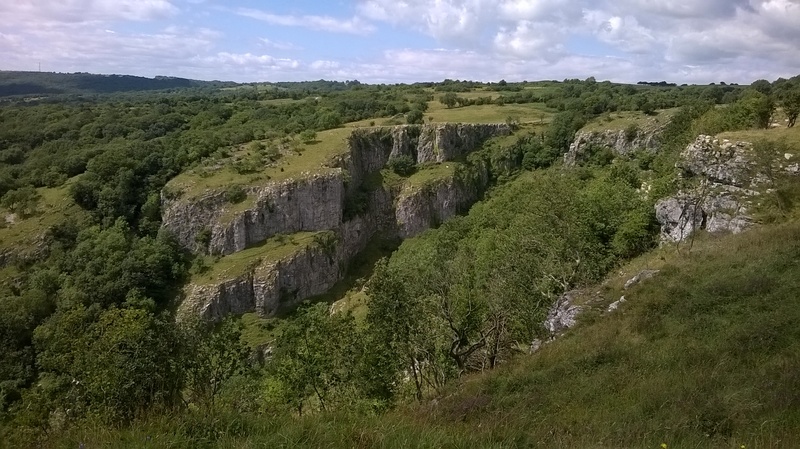 Maybe it was the dramatic limestone scenery that attracted me, as the towering grey cliffs and craggy outcrops of rock were reminiscent of Malham and Gordale Scar in the beautiful Yorkshire Dales. We started with the bus tour (did you know that Tolkien took his inspiration for Helm’s Deep from the gorge?) and followed that up with a visit to the caves and a walk along the cliff tops. This last venture involved climbing up 274 wooden steps to the top of the gorge, and then back down again at the end. Fortunately, Cheddar also boasts a plentiful supply of tea shops. The main cave (Gough’s Cave) is stunning: creamy-white stalactites and stalagmites, perfectly clear mirror-pools and huge calcite formations that look as though a Narnian winter has penetrated deep underground. All this lay hidden for aeons until it was discovered just over 100 years ago by Richard Gough, who spent eight years (eight years!) digging through the rock-fall that blocked the cave entrance. The time he took, however, dwindles to microscopic insignificance next to the time it took for the caves to form. 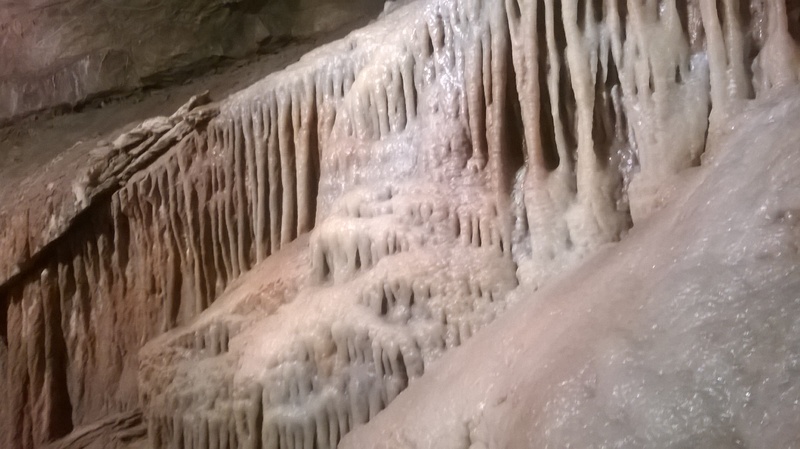 A stalactite grows by about one and a half a millimetres each year. Decade by decade, millennium by millennium, the tiny deposits left behind by the water flowing through the cave system grew and developed into the spectacular formations that can be seen today. It made me think about my relationship with God. Paul assures us that we are being transformed into the likeness of Christ (2 Corinthians 3:18), but often the process feels painstakingly slow. I need to remember to see things from God’s perspective: I may not notice each tiny, incremental change, but together they are – in God’s timing – producing something beautiful for him. Imagine for a moment it’s your eighth birthday and you’ve been given a brand new violin. Your mum – keen to encourage you – speaks to the school office and finds that there’s a space for you in the beginners’ group. For the first few weeks, you can’t wait for the lesson to come round. You put your music in your school bag the night before, and leave your instrument by the front door overnight so that you don’t forget it. You listen eagerly to everything your teacher says. You do your best to emulate her. At home, you practise faithfully every night, to the delight (or otherwise) of your family. 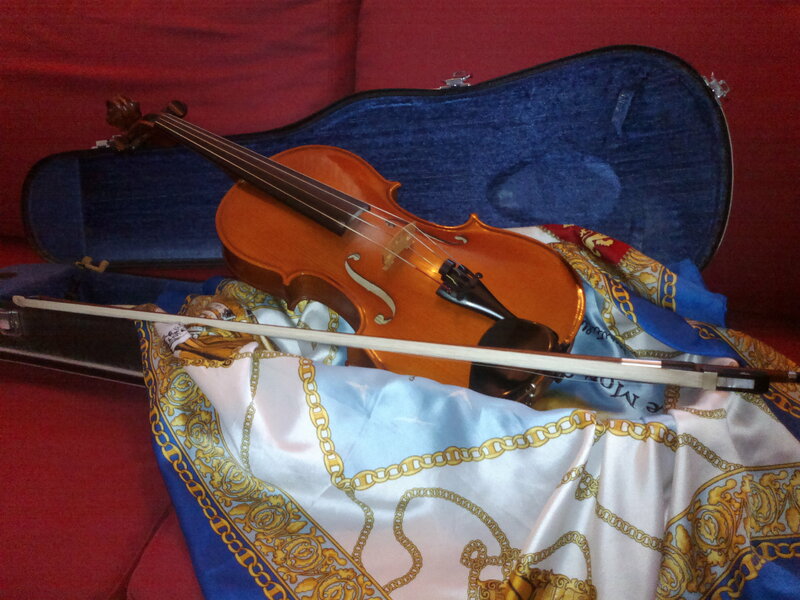 Over time, though, you make an unwelcome discovery: learning to play the violin is harder than you thought it would be. It’s going to take much more than six months to sound as good as your teacher; let alone that woman you saw on Britain’s Got Talent who could play the violin whilst pedalling a unicycle round the stage. It’s around now that you recognise your teacher is not actually some distant relation of Big Brother, and so will not be able to see if you don’t practise every day…or even every week. You stick with the lessons for a while (as it gets you out of Guided Reading), but you don’t feel you’re making progress. By the time your ninth birthday rolls around, the violin has been buried behind a pile of other junk under your bed, and you’re nagging Mum to let you start karate. Perseverance, you decide, is over-rated. Sometimes we behave like beginner violinists in regard to our Christian life. We start off with a rush of enthusiasm: church is awesome, praying comes easily, and setting time aside to read our Bible is our favourite occupation. But after a while we realise that being a Christian can be difficult. Maybe God is challenging us to let go of our penchant for juicy gossip. Perhaps we’re worried that sacrificial giving will have too detrimental an effect on our standard of living. 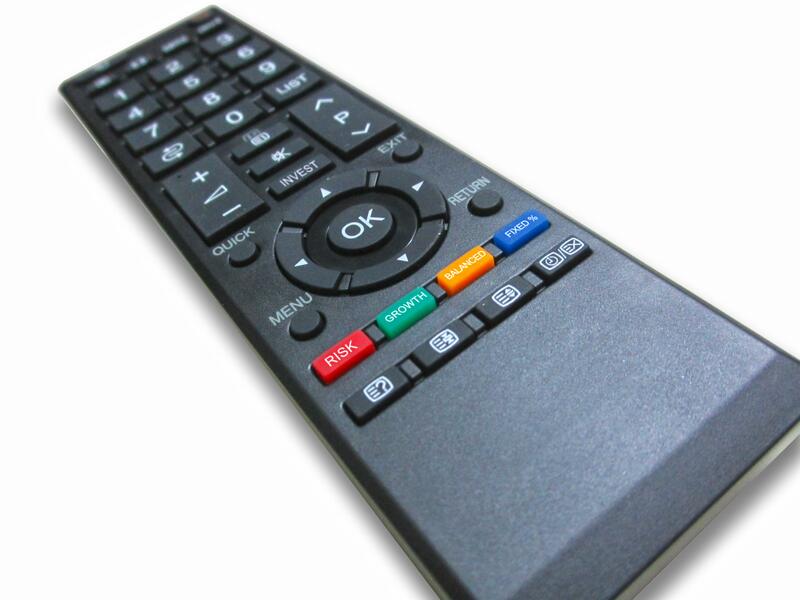 And – if we’re honest – keeping up with our favourite soap opera can become more of a priority than regular Bible study. It takes effort – and humility – to allow God to transform and mould us into the image of his son. Jesus never promised us that following him would be easy, but he did promise he would always be with us. We have a choice: we can give up when things get tough, or we can choose to persevere, knowing that God himself will help us on our way. fjlloyd on A Time for Everything?